This is a simple New York strip recipe that uses only a few ingredients. Quick and easy for any weeknight meal, but delicious enough for any party or cookout. 1. Combine black pepper, white pepper, sea salt flakes, and chili powder. Apply a liberal amount of seasoning to both sides of steak. 2. Preheat grill for medium-high heat. 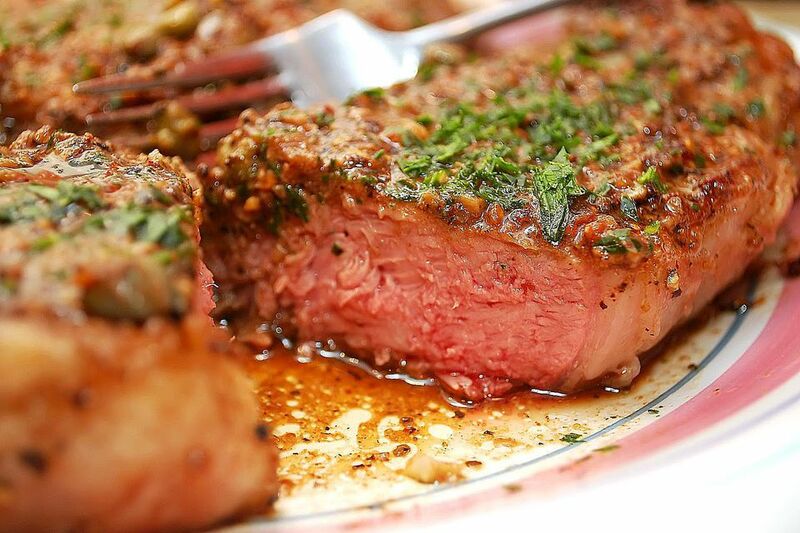 ​Place steaks on grill and cook for 2 minutes, turn and cook for another 2 minutes. Move steaks to a cooler part of the grill and cook indirectly for an additional 5 to 7 minutes, depending on thickness and desired doneness. 3. Once steaks have cooked through, remove from heat and place onto a platter.